Salted mint lassi is also referred to as namkeen lassi. It has tremendous refreshing & cooling effect on our body with unique digestive and health benefits. 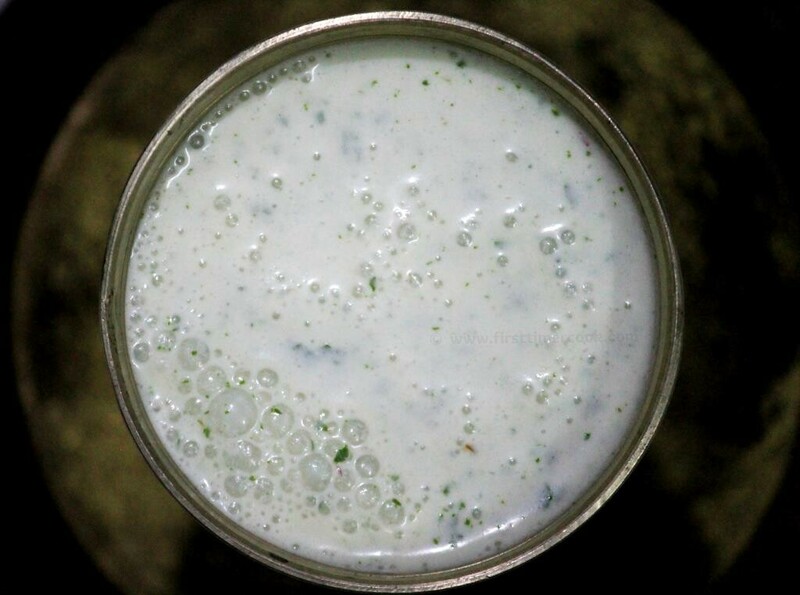 Mint lassi is a great compliment to any meal, especially during summer. It's there in every household during summer months. Lassi is a healthful yogurt-based drink, popular throughout India. Especially in punjab, no meal is completed without having a full glass of lassi. Much simple recipe, no cooking required, just add the ingredients and churn it up until frothy. So below is the recipe to make a refreshing salted mint lassi. Put yogurt, mint leaves, black salt & cumin powder in a blender jar. Blend for 2-3 minutes. Add the ice cubes and blend again for about 30 seconds. Pour mint lassi into a serving glass and serve immediately ! This can be in a sweet version (Mint Lassi (Sweet)) which is the traditional one.